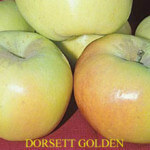 We stock a large variety of quality apple trees from Dave Wilson and L.E. Cooke. Whether you are looking for an apple for fresh eating purposes or for baking and sauce, chances are we have the apple you’re looking for! If not we will special order it for you. All of the selections in stock are self-fruiting and most are low chill with a few exceptions such as the Honeycrisp, McIntosh, Sundowner and Yellow Newton Pippin which are superb apples for areas that receive a little more winter chill. Click on the images below to view the apple varieties we have in stock or typically carry.